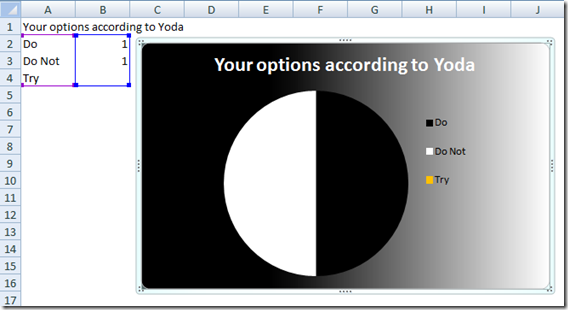 Home Pie Chart Yoda Excel Chart!! NO WAY! 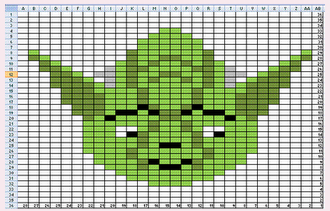 Yoda Excel Chart!! NO WAY! 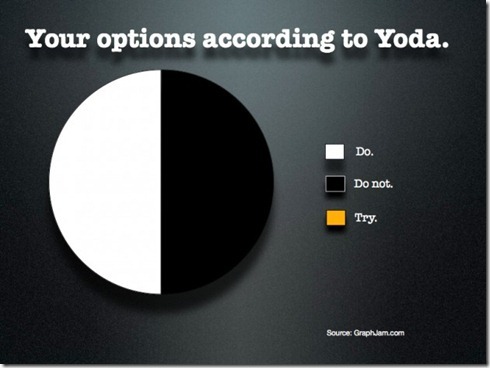 Someone sent me this graph and I thought it was great. I love Star Wars. I grew up on Star Wars. I lived and breathed Star Wars Trilogy as a child and I also loved the 2nd Star Wars trilogy as an adult. Then, someone sent me this info-graphic. Can you try and recreate this chart? Do you have any other awesome chart ideas? Any Idea on how I might solve this problem. I have a worskheet with 24 charts in a dashboard. I ma creating this for each salemen in an organization (number varies from 5 to 100). I am copying the sheet with the charts and pasting only the values, then recalculating the sheet to update the charts. 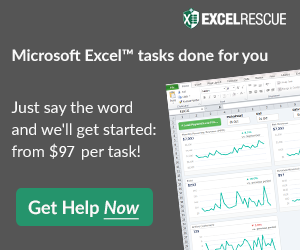 But Excel will only let me copy 9 sheets before it crashes. Any thoughts on how I could make this work? Hi Sean, thanks for the question. 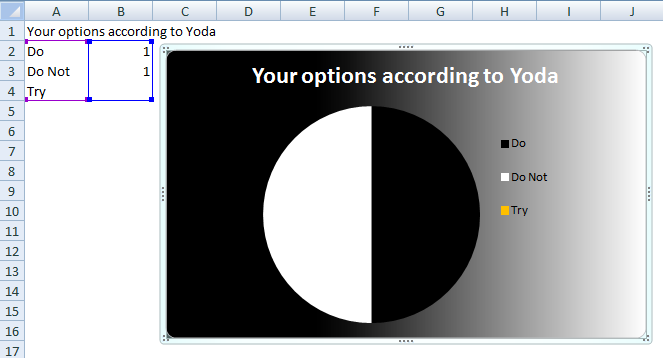 I have never had this happen to me, but weird things can happen in Excel. Have you considered copying the entire worksheet in the workbook?